And still no one knows what is going on, or who is running the ship. The only thing we know is that the ship, having already hit an iceberg, is now bound for the rocks. I’m not dead. It may be quiet here, but I’m too busy to be dead, and with a lot more than my standard work. I’ve a lot to explain. In January this year, a PhD studentship was advertised with MIRIAD, the research arm of the Manchester School of Art, which itself is a part of Manchester Metropolitan University (it’s all a bit like a Matryoshka Doll, as you can see). This aim of the studentship was to look at the viability of using iconographical analyis upon images distributed through social media. There’s a more practical, business-y side to this as well where the student will be working with a marketing firm on big data sets of imagery in order to create testable theories. As described, this idea was intimately related to several facets of my life for the past, erm, 30 years or so. You see, long before I was a web developer & graphic designer, I studied as an art historian, and iconography—the analysis of images through the signs & symbols contained within them—was very much something I did on a daily basis in my student work. I went on to Princeton & got an MA in the field, but at the time really (really) didn’t want to continue on there to work on a PhD. In any event, I had become fascinated with the possibilities of the “World-Wide Web”, as it was then called (best viewed with Netscape Navigator! ), and after a few of the standard dodgy apprenticeships, I launched my career in design & development. In my graphic design work, iconography has always played a strong role. And as for viral images, well: anyone who knows me fairly well will have heard me talk about how we make sense of popular images partly through their iconographic connections with other images. Finally, the idea of contributing towards testable theories of analysis was very appealing. So, almost on a lark, I decided to apply for the studentship. I wasn’t sure I wanted to do it, but I was absolutely sure that if I didn’t try for it, I’d kick myself for a good decade afterwards. In March, I was approached to give a presentation and undergo an interview for the position. I’ve given dozens of presentations in my career, but they were all oriented towards presenting my work to the business world—this was therefore fundamentally different. This was about my ideas & a pretty strenuous examination of them. The interview was in retrospect friendly, but I felt very much out of my depth. I felt like running, screaming, from the room. I’m not sure why I didn’t, to be honest. Anyway, they were clearly in a generous mood, because I was offered the studentship. The programme started with alarming speed: this past 20 April, in fact. I have lots to say about the place & the people, and I’ll do so in due course—my impressions & aspects of my research will feature on this blog. For now, though, let me just say that I’m really pleased to be part of MIRIAD: the staff are approachable, we have very good, friendly, rigourous, open discussions, the training on offer is vast, practical & excellent (so much better than at Princeton), and I even love the building that houses them. As for my fellow students, well: a significant number, I think the majority, are practicing artists, and they pursue fascinating subjects. I’m acutely aware that I’ve entered a very different associative realm of thinking with them: they’re filled with deeply interesting observations, any one of which is worth exploring in depth, and few of which are what you’d encounter in any other environment—certainly not a “standard” academic department. It’s bracing. Some readers may wonder, then, what becomes of the business. The business continues on as usual. I’ll be saying “no” to more projects than I used to, but I couldn’t give up the work, as I love it. Plus, we have this little thing called a mortgage. It remains to be seen how my study will affect my work: will it integrate with my work? Will it draw me away from it? That’s very far in the future, though: perhaps I should prove to them (and myself) that I can write as well as talk. In any event, as Lou Reed said: it’s the beginning of a great adventure. 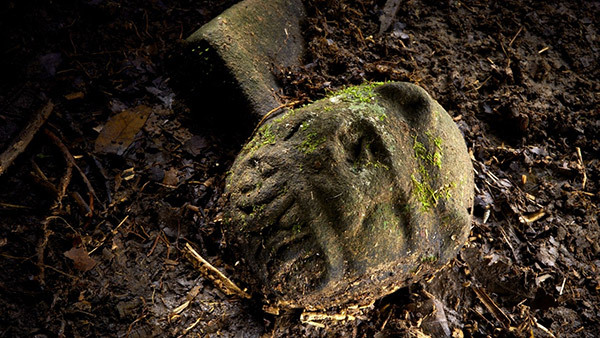 Archaeologists have confirmed previous reports uncovering an unknown civilsation in the Honduran rain forest in Mosquitia. There have been rumours of the existence of “the White City” or “The City of the Monkey God” (paging Indiana Jones) virtually since the Spanish arrived in Central America, but no one had been able to find it. Several people claimed to, of course, but their “discoveries” had never been confirmed. The first indications of the site’s existence—really, I should write “sites’ existence”, since they have found clusters of cities—was done a few years ago with special airborne, military-grade radar called LIDAR. LIDAR itself is fascinating: lasers hit the ground millions of times per second, and can bounce off foliage to uncover difficult-to-see, human-built structures. National Geographic has an article about the technology looking at my native Connecticut—the accompanying imagery which illustrates the technology well. Indeed, LIDAR could revolutionise archaeology. Mapping out human structures in a rain forest is extremely difficult work—what would take years to map out on the ground can be done in minutes. What’s also interesting is the claim that this is an unknown civilisation—presumably the finds are sufficiently different from neighbouring people like the Maya, Aztecs & Olmecs. What a treat to be able to see this stuff. I have an amateur’s interest in Central American archaeology, and these photos bring back some good memories. It’s a fascinating technique. You can see the relation to someone like Jackson Pollock, in that he’s reacting to the placement of previous layers on the surface & making immediate judgements as to where and what to paint next. The results are really interesting in & of themselves, but for me the real fascination lies in the process. Those animations give you a real feel for how he works & the moving artworks themselves are what makes the work truly psychedlic. This is a difficult technique to get right: one false move & all you’d have is a big grey mess. Today I learned that the phrase “blood is thicker than water”, whereby we mean that family relationships matter more than, say, friendships, is a 180° misrepresentation of the original quote. The original quote is: “The blood of the covenant is thicker than the water of the womb”, meaning that relationships formed by choice are stronger than those formed by birth. Wow. Just… wow.